 London & Zurich will be exhibiting at two more conference events this month – first up, ICPA Practice Evolution on 16th June, closely followed by the annual BFA conference on 23rd & 24th June. ICPA Practice Evolution is taking place at DeVere Venues’ West One building in London and promises to be another great platform to showcase London & Zurich’s products and services. We’re looking forward to meeting up with conference attendees and our fellow exhibitors, and hopefully getting a chance to hear some of the world-class keynote speakers. If you’d like to find out more about the Practice Evolution event, you can follow the Institute of Certified Practising Accountants (ICPA) on Twitter @ICPAPracticeEvo. The following week, we’ll be taking our stand up the M1 to the British Franchise Association’s AGM at the East Midlands Conference Centre in Nottingham. As a BFA supplier, we’re proud to be supporting them, and their members, at their annual conference. This excellent 2-day event includes a comprehensive seminar programme, where attendees can learn more about what it takes to achieve excellence in franchising, engaging keynote speakers and the HSBC Franchisor of the Year Awards – the industry’s most prestigious and influential accolade. Good luck to everyone who has entered this year’s awards, we look forward to celebrating or commiserating with you at the black-tie awards dinner. If you’d like more information about our Direct Debit and payment gateway solutions, or the other conferences we’ll be exhibiting at this year, please get in touch today.